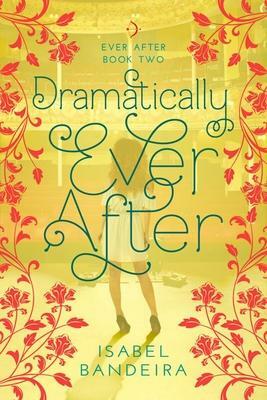 Everything seems to be going by the script until she finds out Kris Lambert--senior class president, stuck-up jerk, and her nemesis--is going, too. Cue the dramatic music. In Boston, Kris is different. Nice. Cute, even. But she knows his game way too well--be nice to your opponents and then throw them under the bus on your way to victory. Instead of becoming his next victim, Em decides to turn the tables by putting her acting and flirting skills to work. Unfortunately, as they get close to the final competition and judging, reality and acting start to blur. It's a song as old as rhyme, set in New Jersey this time. An aspiring professional actress, mixed-race teen Em Katsaros, whose mother is African-American and whose father is first-generation Greek-American, has a lot riding on winning a national speech competition. The grand-prize money can pay for her freshman year at Rutgers--and maybe convince her oh-so-practical parents that acting is not a dead-end career path. It seems that the only roadblock to achieving her dream is Kris Lambert, scion of the premier mega-wealthy, white family in their town of Lambertfield. He thinks that she is a drama queen. She thinks that he is a smarmy jerk. When they are both chosen to represent New Jersey in the competition in Boston, the stage is set for Em to re-evaluate her nemesis. Bandeira's (Bookishly Ever After, 2016) second novel owes Jane Austen a huge debt of gratitude for its overall formula and structure. The pacing is nimble and the dialogue frequently snappy, but the story ultimately fails to rise above its modern-Pride and Prejudice formula. Certain elements, such as Em's inexplicable love for her absentee foreign-exchange-student boyfriend whose only admirable quality is his making out, strain credulity. The romantic narrative conclusion is never in doubt, but the tale nicely cautions against believing preconceived notions and provides enough humor to entertain along the way.